Well, this is another bucket-list project. Ever since I first heard it 22 years ago, James Newton Howard’s score to Waterworld has been one of my favorite scores of the 1990s. Bold, brash, thematic and epic, the soundtrack for this orchestral score got a lot of time in my CD player. 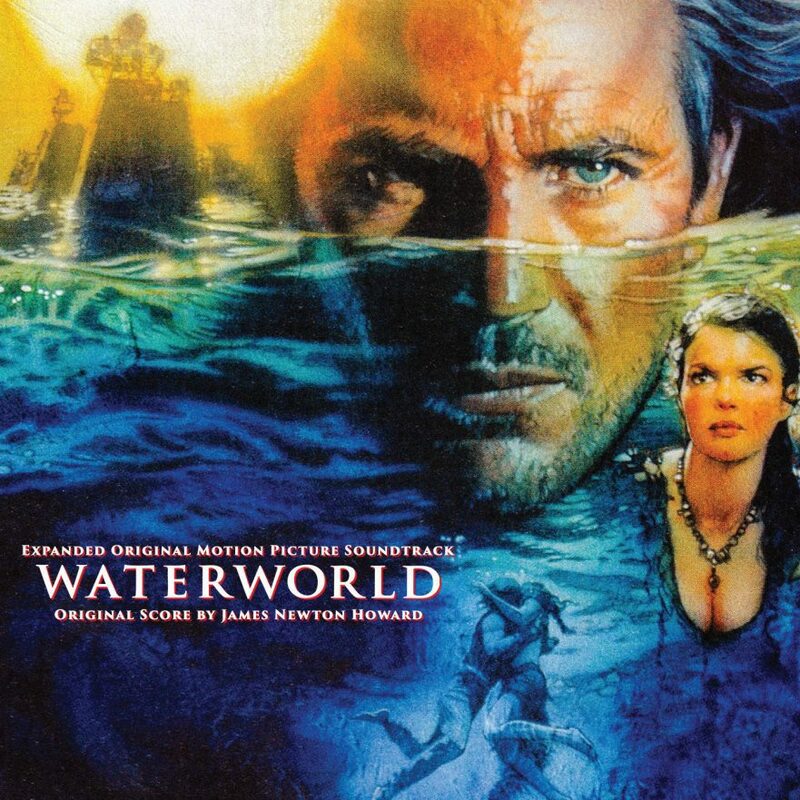 Having worked on a few expanded reissues of JNH projects, I would keep asking about the possibility of doing an expanded Waterworld. At one point, I was told it was happening with another label, so I stopped asking – and then I casually inquired again, and it turns out it wasn’t happening, and it was a possibility. Amazingly, the wonderful folks at Universal agreed to let it happen. As with the past James Newton Howard projects, we went to his studio archives for the sources, which in this case came off of his personal DATs. 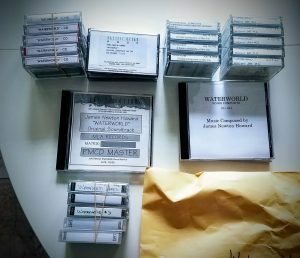 They not only had the final mixes, but also the raw scoring session tapes, which meant we could pull together some nice extras, including (as we had done before), the ‘thank yous’ to the orchestra at the end of the sessions. The assembly was pretty straightforward – working with co-producer Mike Matessino, we quickly put the album together in film order, and then figured out the extras for the 2-CD set. On the artwork side of things, we knew we wanted to try to use Drew Struzan’s unused artwork for the cover, but had to have a traditional cover (based on the key art) ready to go. In the end we were able to use one of the Struzan pieces, so that was nice and gave the package a unique look. I also traced out the iconic ‘map’ tattoo from the film, in vector form, which allowed us to use it as a design element in the background of the booklet, as well as a disc silver knockout on the physical discs. You can check out the final artwork package here, and you can (and should) get the album here!